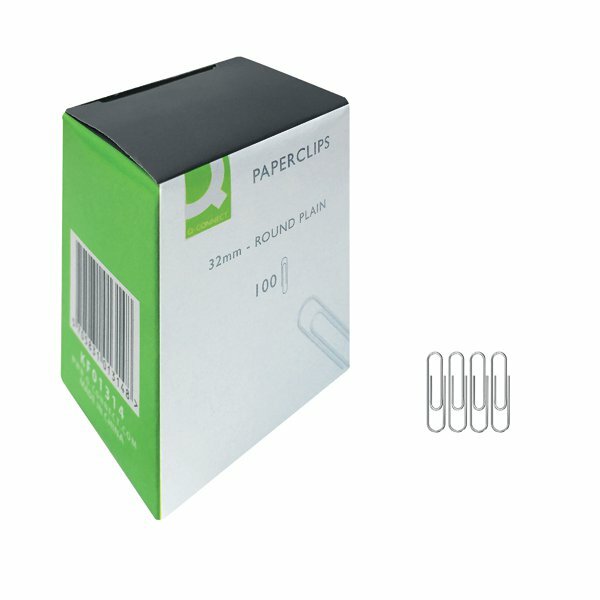 A simple way to collate papers, these quality 32mm Q-Connect Plain Paperclips are ideal for general office and home use. The strong, durable wire construction is designed for frequent and long lasting use. This bulk pack contains 10 packs of 100 paperclips in plastic hanging boxes.